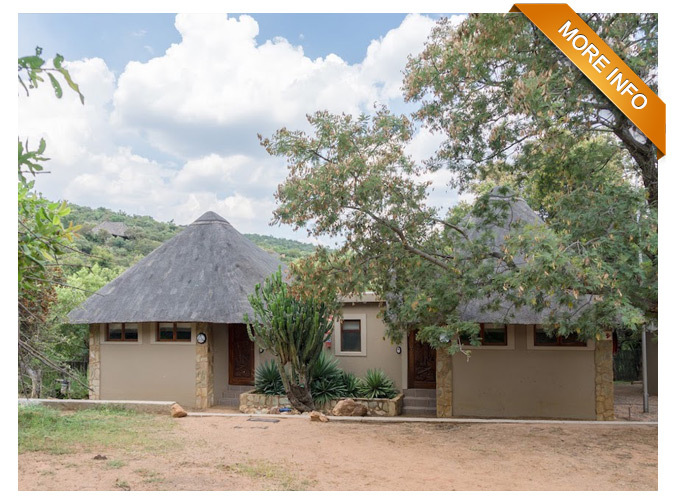 Exquisite newly-built bushveld holiday home with spectacular views! The 2 x bedroomed unit at Elephant Lodge is a comfortable self-catering unit ideally suited for 4 x guests. This exquisite unit have either a double bed or two single beds in each bedroom as well as a sleeper couch in in both the bedrooms. The kitchen is stylish & well-equipped with a lovely dining room opening onto the covered patio as well as a private boma area. These lovely units are conveniently situated within walking distance of the main entertainment area (where the farm shop, tennis courts, squash courts, putt-putt, children’s entertainment area & swimming pools are located as well as a brand-new coffee shop). The 1 x bedroomed unit at Elephant Lodge is a comfortable self-catering unit ideally suited for 2 x guests. The open-plan unit is furnished with either a double bed or two single beds and each unit offers a private bathroom with a shower-over-bath. The kitchen is well-equipped with a two-plate stove, microwave oven, fridge, cutlery, crockery plus tea & coffee making facilities. There is also a small sitting area with a TV & DSTV available. These lovely units are conveniently situated within walking distance of the main entertainment area (where the farm shop, tennis courts, squash courts, putt-putt, children’s entertainment area & swimming pools are located as well as a brand-new coffee shop).